Rated 2 out of 5 by blackbirdess from Works on phones, not for PC I read a review that said the story line to this was great, so was keen to give it a go. I've liked other games similar to this (most people will know of the Lifeline series) so knew what to expect, and was pretty excited about a PC version of something similar. Unfortunately it just doesn't have anything fun going for it. Don't get me wrong, the story sounds like it could be great once it gets going. You are Mission Control on Earth, swooped in at a moments notice to support 5 (I think it was 5) characters landing on the moon. Their mission is to investigate what is causing interesting signals! When playing in full screen the interface isn't too bad, it's fairly good at making you feel like you really could be sitting at a Mission Control desk. I was also beginning to get into the story line, but in the end it was just so slow for me! I think this would be a good story to put into a phone/tablet app that you can pick up and put down, but not something you need to sit and read non-stop. Rated 2 out of 5 by kristineg0628 from Not much of a game Full disclosure - I only played this game for 15 minutes - waiting for more action and less reading. That didn't happen. I expected more of a game element but felt like I was reading a Choose Your Own Adventure Book. The game information does describe it as a "graphical text based thriller". I agree with the graphical text but I thought it was kind of boring. Rated 2 out of 5 by kandinsky from CHOOSE YOUR OWN ADVENTURE--SLOWLY This is like the old choose your own adventure books, You are mission command and you make choices from time to time for a team sent to the moon to investigate a mysterious signal source. There is a great deal of discussion and banter between the team members and this is for me the problem, in particular when having made a bad choice one must cover that ground again. In the old choose your adventure books it was easy to explore the whole layout of the story, and hopefully of course having arrived at a 'good' ending. For my self and perhaps paradoxically I found the slow unfolding of the story far less immersive and fun than the quickly absorbed old stories. This is my review then, based on the demo but also on looking at a walk-through and so having an idea of where the story went. The story contains elements of horror as well as science fiction and may very well appeal to some more than it does to me. To me it seems conventional and tiresomely slow and as always recognizing that some, perhaps you, may find it just right, I cannot recommend it. Rated 1 out of 5 by Jstfyd_16 from 17 Minutes of my life I will never get Back I couldn't give less than one star, so here ya go...Not interactive, except for periodically giving boring responses to an already boring game...Messages were way too slow and I didn't find one appealing thing about this game. Whoever spends money on this needs a refund. Rated 1 out of 5 by TexasParadise from Not much here I tried the demo for this game and came away with "yawn". All I found to do was read dialogue from the crew and then choose a response for myself as the commander. There was no action to speak of and I was bored before the demo was even half over. I cannot review the sound as I always mute it. I find it distracting. It may be a game that others find interesting and all I can suggest is try it for yourself and see if it's for you. Rated 1 out of 5 by skunkluvr66 from Zarya-1 I was so disappointed. There are so few spacer games I was hoping... I do not classify this type game as interactive, there was no one to interact with except voices. The graphics were juvenile at best. If I want to read a story I'll get a book. Rated 1 out of 5 by wiredawwg from Games should be fun I stupidly bought this game; it's more an exercise in frustration than a game. Yes, you can 'rewind' and go back to a previous scene, but then you have to read the same dialog all over again. I had hoped to find ways to keep progressing, but choices are few and far between and it's just plain boring. Rated 1 out of 5 by erictoddw from What?!?!? I spent 5 minutes watching texts between characters without the game starting. I gave up. This game SO did not catch or keep my attention. Rated 1 out of 5 by karema from seriously? in my opinion this is not an adventure game, it is a choose your own adventure story, printed on fortune cookie white strips that are shown against a grey moonscape. you read the strips, you pick a reply, you repeat. in the 45 min. i played i saw 2 images, one of the crew and one of the building. there were many times when i thought that the game would open up and show more graphics or become more interactive. this was like an 80's game, all talk, no action...just reading. didn't like it, found it boring. it might have been better if the background changed, even a little bit. Rated 1 out of 5 by vtodd from BORING Seriously? This isn't a game! 30 minutes into the demo and I have used the mouse less than 10 times. All it is is reading poor dialog and once in a while making a word decision. Several times there isn't even a selection. Rated 1 out of 5 by attyjake from An hour I'll never get back! Probably the worst game I have ever played, I had it on the quickest speed and it is still so slow, got bored waiting for dialogue to end before I could answer, then did'nt have the answer I wanted, just usually two to choose from and they were both very similar. VERY POOR. The pictures they sent back were quite good though. Rated 1 out of 5 by ZekesPeach from Lost in Space...PLEASE leave it there! Couldn't make it through half of the demo...BORING! Nothing but text (except one supposed photo of 'the team' and some notifications of messages, etc. ), and the transmissions suffer from (intentional) static and disconnects. None of the conversations even come close to real life...at least not like scientists and other professionals would be having...these sound like a bunch of kids hanging around the street corner or stuck in detention. On top of that, you have to decide how you want to respond to it all via multiple choice offerings. This is far from my idea of 'interactive'! 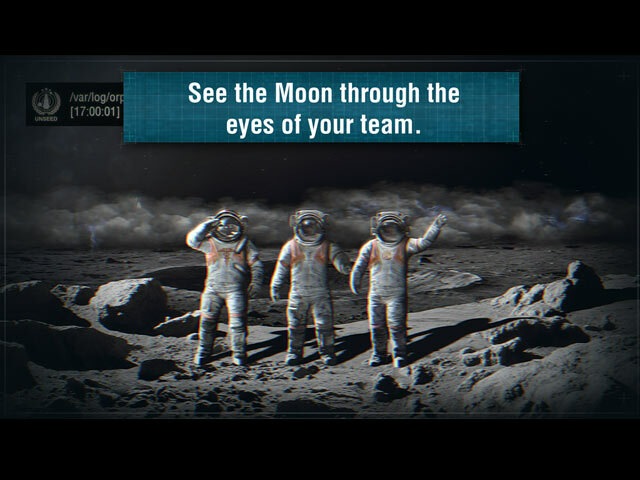 How about beaming me down to the moon and letting me perform the mission these bozos seem to be incapable of? At least I wouldn't fall asleep. Rated 1 out of 5 by princesschaos1st from Not for me I lasted all of 5 minutes before I deleted this game. Maybe if you can last for the entire demo you might like it. Just text in the part I played, with no tutorial to understand what I was doing. After several messages saying connection lost (in game) I quit. 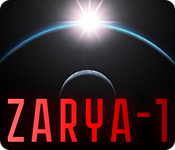 Rated 1 out of 5 by middleagedmale50 from Zarya is zero When I first read the storyline i thought this sounds interesting. It is not. This game is nothing. 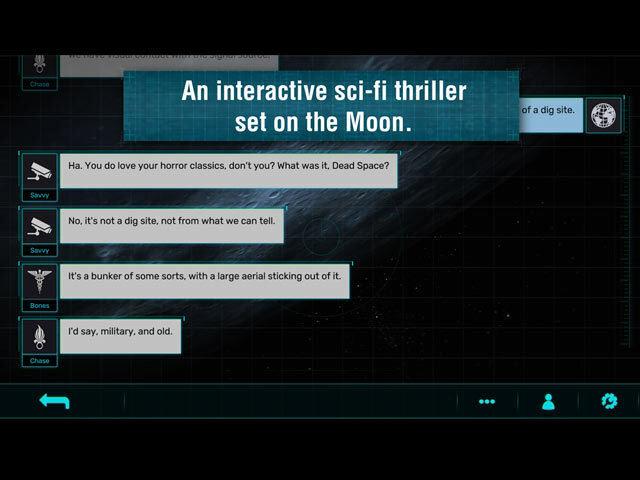 All it is, is you reading dialog from what may be astronauts talking to themselves without any interaction from you. After 5 minutes I deleted it. The title of this whatever it tries to be and is not, should be Zarya minus zero. Rated 1 out of 5 by Asharon555 from Total dross Dear Players It starts with a series of email from a space craft to earth. The player is on earth. And then it continues like that for ages just a series of back and forth messages. I did not have the time to waste waiting for some visuals to appear or something other than clicking a choice of questions. There was not a skip button so your stuck. I do not believe that B.F checked this game before releasing it. I had to give it one star because it is a required field. I could not rate it beyond that. Well done to anyone who sticks with it to the full 60 minute free game time. You deserve a medal. I hope that another review proves me wrong. Rated 1 out of 5 by bpaul660 from Why? Awful just plain boring after 30 minutes into it.